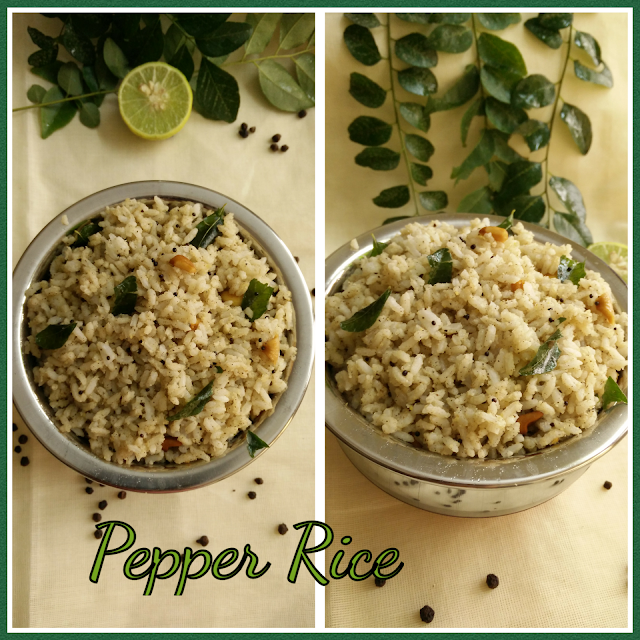 I am here today to share another very simple healthy recipe "Pepper Rice - Rice flavored with black pepper" with you all. 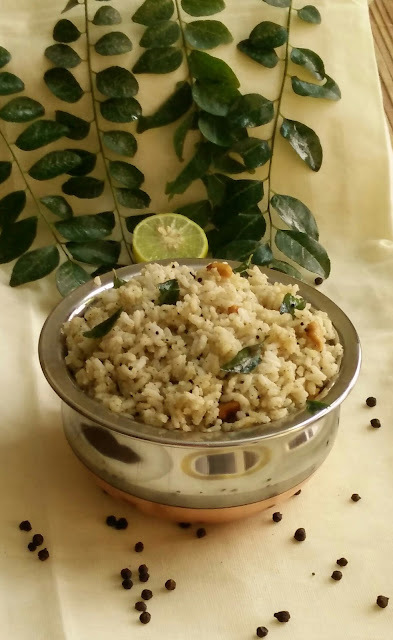 Specialty of this recipe is No green chilly /Dried red chilly is used.When you are bored of having same lemon rice, tamarind rice etc etc, you can go ahead with this recipe. 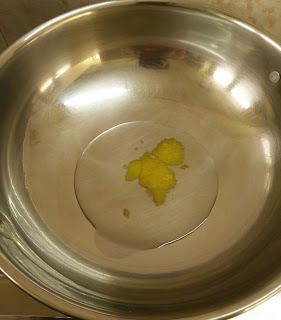 yes .. this is No onion No garlic recipe too. 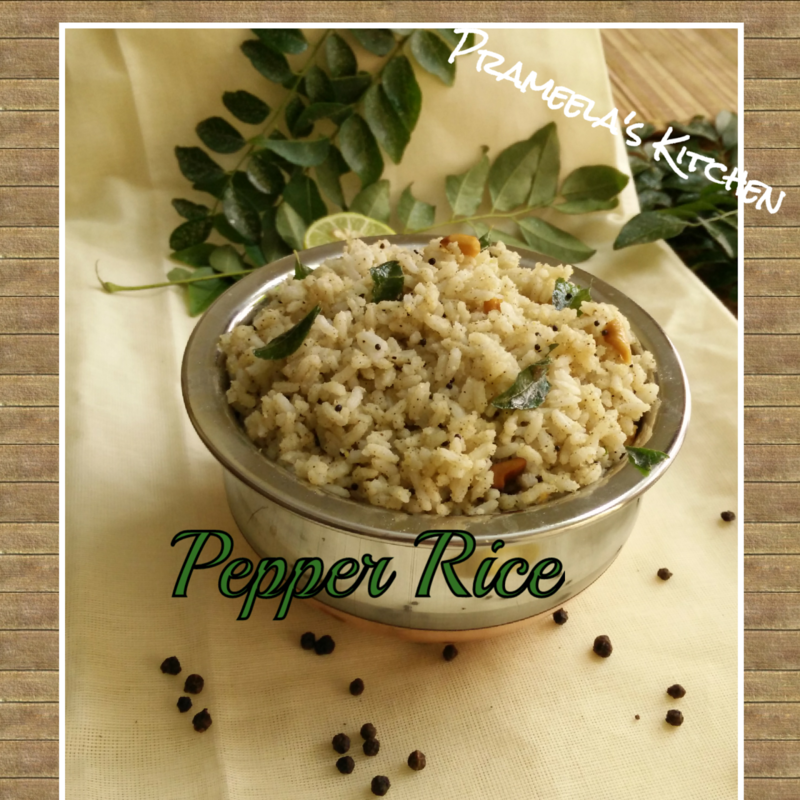 Serve this hot pepper rice during winter and keep your family happy and healthy :-). 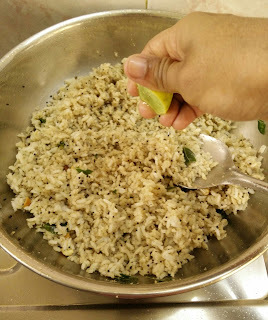 Heat 1/2 tsp of ghee in pan.Roast all the ingredients mentioned under "for roasting" one after another till you get a nice aroma. 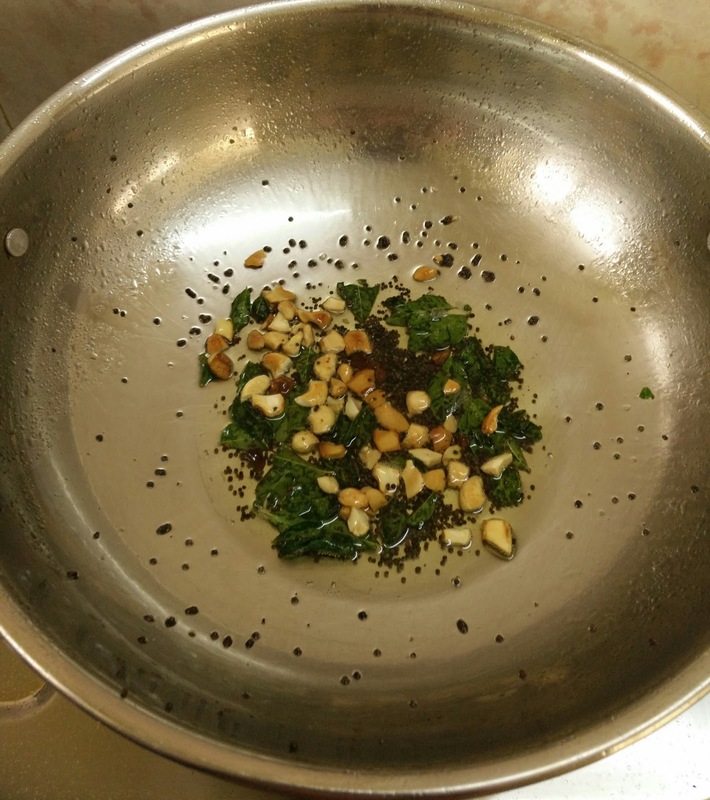 Let the roasted ingredients cool. 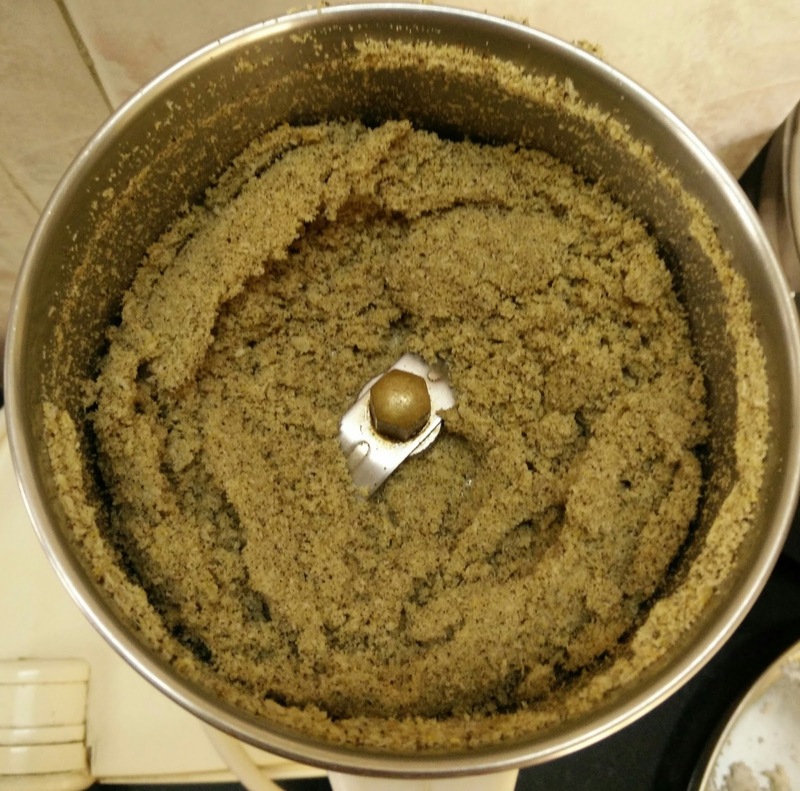 After it cools down completely, grind them into a fine powder. 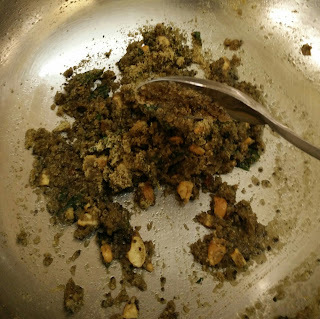 Heat oil and ghee together in a big kadai/pan.Add in mustard seeds and cashew nuts.After mustard seed pops out , add in curry leaves and asafoetida. Saute for few secs. 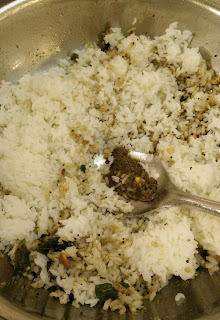 Now add ground powder and hot cooked rice on top of seasoning. Time to switch off the flame.Now add in salt and lemon juice to it. 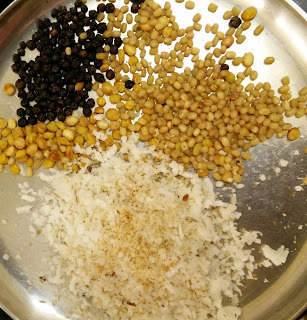 Mix nicely so that all the spices get combined well with the rice. Serve hot and enjoy !! You can add equal amount of channa dal and urad dal if you like the smell of channa dal. Excess ground powder can be stored in the fridge and consume withing 3-4 days. According to your spice level , adjust the quantity of rice while mixing. You can roast the cashew nuts separately and add it to the rice at the end to avoid over roasting the cashew nuts. If you are not using hot cooked rice, then while mixing the cooked rice keep the flame in medium till your rice becomes hot.